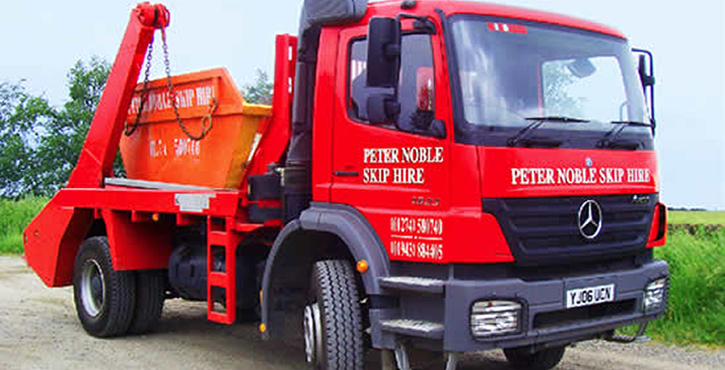 Skip Hire; What Are You Allowed To Put In A Skip? As the new year is rapidly approaching, I’m beginning to think that it would be an ideal time for a good sort out of my possessions. I really don’t know how things can accumulate without me noticing them doing so, but as usual things are getting out of hand and I’m having to step over boxes and piles of clutter to walk through the hall. It’s not much better upstairs either and I’m beginning to wonder why we didn’t just pay the local land fill site a visit when we collected my daughter from university in early summer. And why did she actually bring so much rubbish back with her? Does she really need the greasy sandwich toaster and the kettle that has seen better days? Does she really want all of the stuff still in the storage boxes in the dining room? After all, she probably doesn’t even remember what is in the boxes anyway. After some careful thought, I’ve decided that a skip would be by far the easiest option for clearing all this excess stuff and hired one from my local company, Reds Skip Hire. All the university tat could be flung in together with the piles of “useful” items we’ve been saving just in case we will ever need them. The time has come to be ruthless and reclaim our home back for ourselves. Looking out on the garden, I can also see lots of items that could also go in the skip. There are the old fence panels leaning against the wall; we don’t need them so why did we save them? I can also see an old barbeque. Why is that still there in the depths of winter? And what about that pile of bricks that have been cluttering up the garden since we had the loft converted many years ago? We certainly have no use for them. These are all items you are allowed to put in a skip so once I’ve piled them up on the drive, I’ll contact a skip hire company and get them removed from our premises for good.